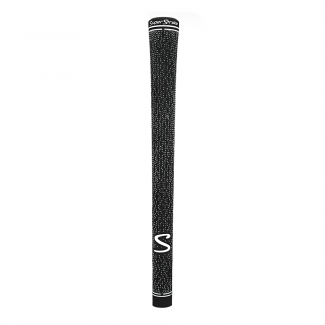 Our new Flatso™ Putter Grips feature our distinct pentagonal “Flatso” profile: a wide, flat front grip shape with five pronounced edges. 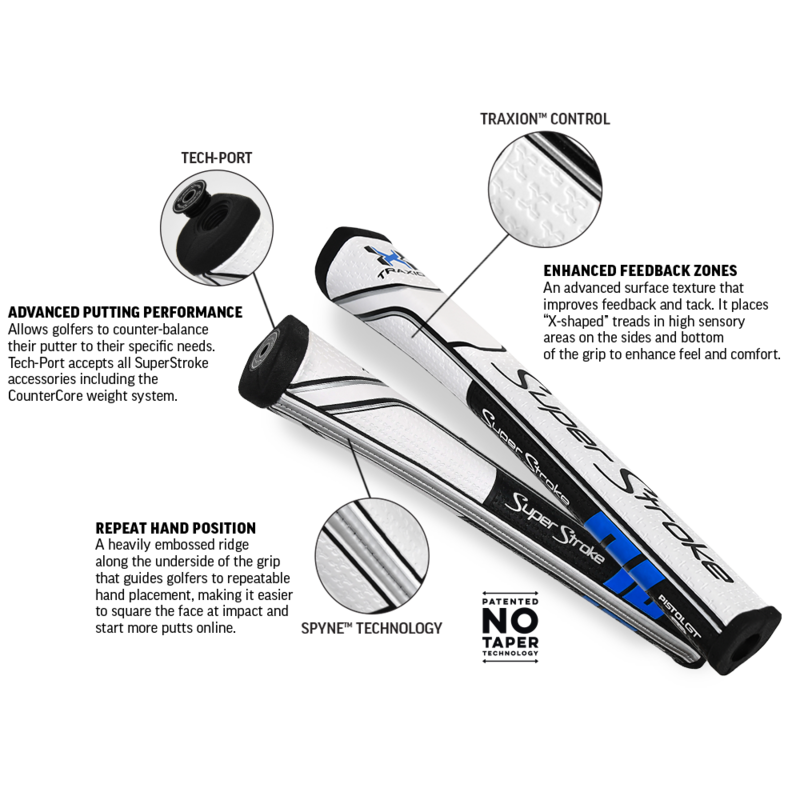 Now with Traxion™ Control and Spyne™ Technology, the Flatso™ Series has been refined to offer even better feel and feedback. 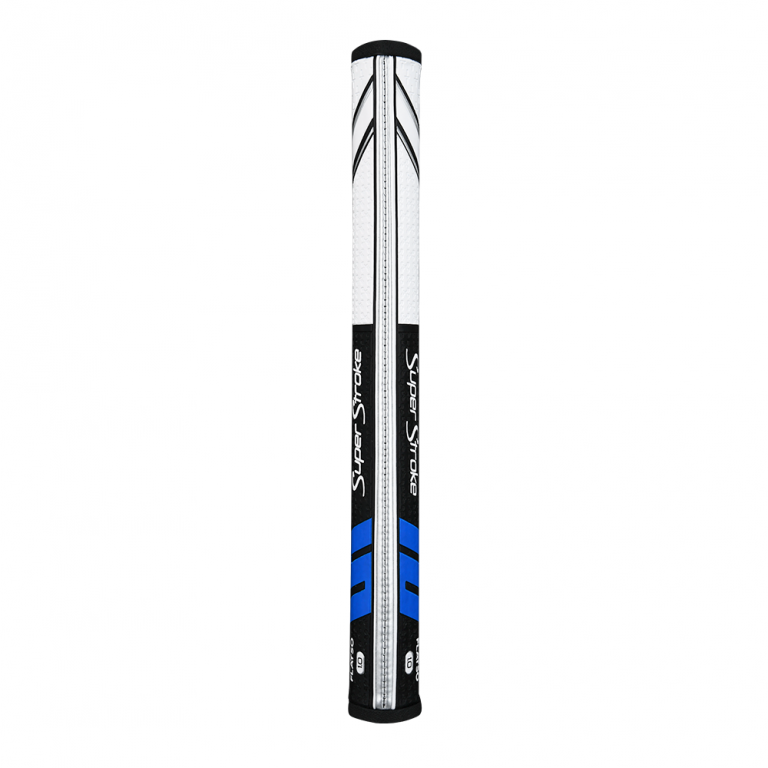 Golfers will know instantly if one of Flatso’s three unique sizes can make a major difference in their game. 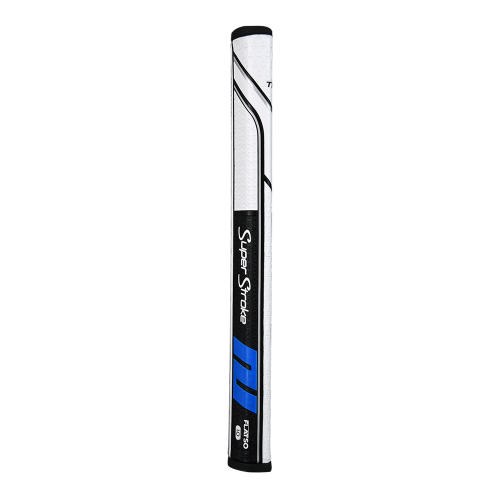 Just ask Jordan Spieth, a Flatso™ user who has trusted the grip for each of his three major championship victories. 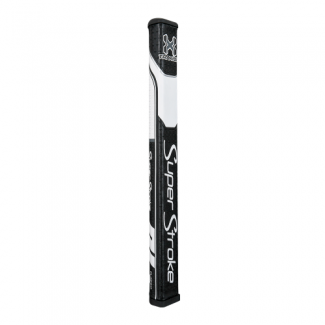 No CounterCore™ weight is included with the grip but additional weights may be purchased separately in ACCESSORIES. 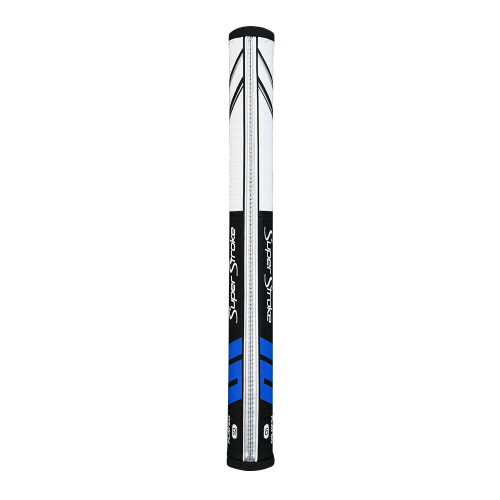 Traxion Control: An advanced surface texture that improves feedback and tack. 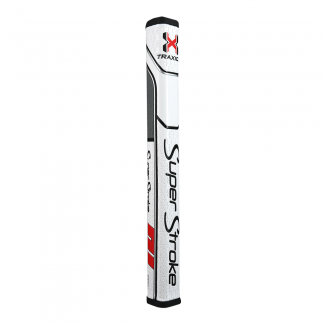 It places “X-shaped” treads in high sensory areas on the sides and bottom of the grip to enhance feel and comfort. 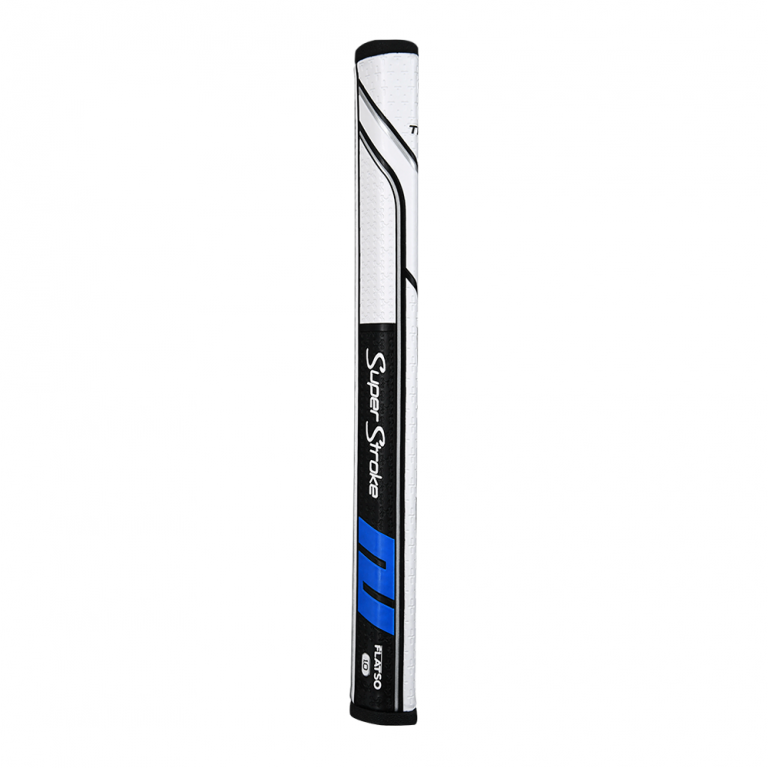 Spyne Technology: A heavily embossed ridge along the underside of the grip that guides golfers to repeatable hand placement, making it easier to square the face at impact and start more putts online. Tech-Port: Allows golfers to counter-balance their putter to their specific needs. 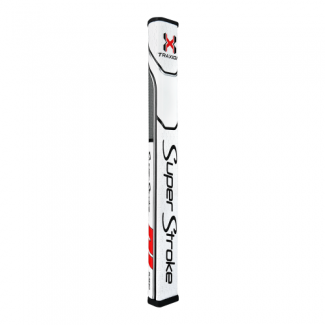 Tech-Port accepts all SuperStroke accessories including the CounterCore weight system.